The “Forget You” Brew by Tara Frejas is a wonderfully fresh and touching love story. For many the title alone will catch your attention and once you read a tiny bit of its summary, I know you’ll be reeled in. For a coffee and romance novel addict like me, it was a done deal. This short but sweet novel is the story of Kyle and Allison, two friends who fell in love with each other. And as most cases, they did not want to act on their feelings because of the fear of rejection and the possibility of losing their best friend. I know this might sound like an over used trope but believe me, there’s more to their story. As their feelings for each other grew complicated, Allison tries to seek refuge. Here she stumbles upon a little hidden place called Nowheretown. Known only to be discovered by people who needs it the most, as they say, the town can’t be found on any map, Nowheretown finds you. She heads over a tiny cafe called Kaipuhan Kafe where the menu is customized. It shows different drinks depending on what that particular customer seem to need the most at that moment. Here Allison sees the afforgeto – a drink for those who long to forget. Determine to whisk away her feelings she orders a cup. All the while, Kyle is trying to find her, undecided on whether or not he wants to confess his feelings to Allison. 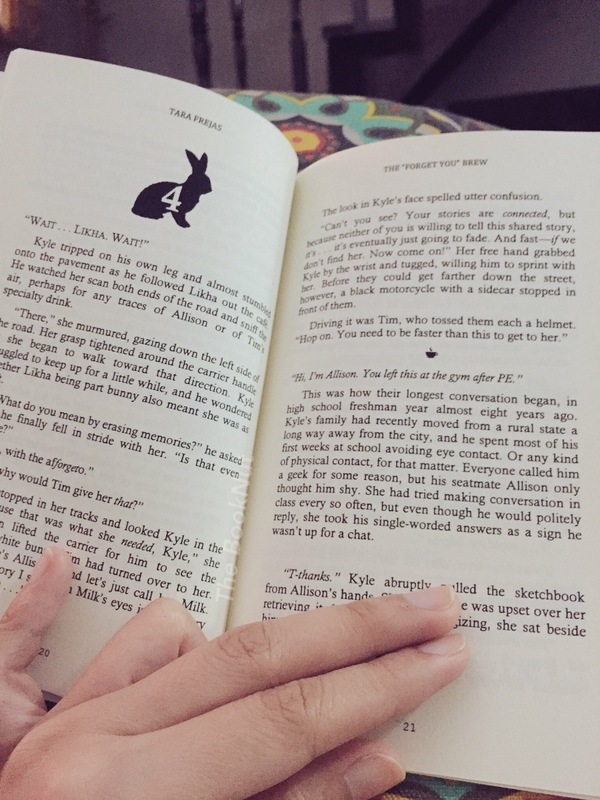 When he discovers the small and unique town, he steps into Mama Kata’s bunny house where he finds the Likha, the one person who may be able to help Kyle find Allison before it’s too late and she forgets everything that happened between them, all of it. The funny thing about memory is — and I realized this on my own — that no matter how strong a potion you use to forget, it seems to weave its way back into your life in the most unexpected, oftentimes simplest ways. Tara Frejas was able to write something original and wonderful. It was imaginative and I really admire her use of magical realism. She was able to create her own world complete with an array of colorful characters to go with it. These characters add dimension to the story without going overboard and it was so easy to fall in love with them. Of course, the story is not 100% perfect as there were certain holes to Allison and Kyle’s relationship, but for me, it didn’t affect the overall story. I like that there were questions left unanswered and that there might still be a continuation to the magic, to their love story. The “Forget You” Brew immediately goes to my “quick reco” list. It’s the type of book I’ll recommend to all my friends. I’ll bug them to buy and read it until they get tired of me because I know in the end they will really enjoy reading it as I have. I’m elated to have discovered Tara Frejas as I vow to read more works by local authors. I hope to make more discoveries like this one. 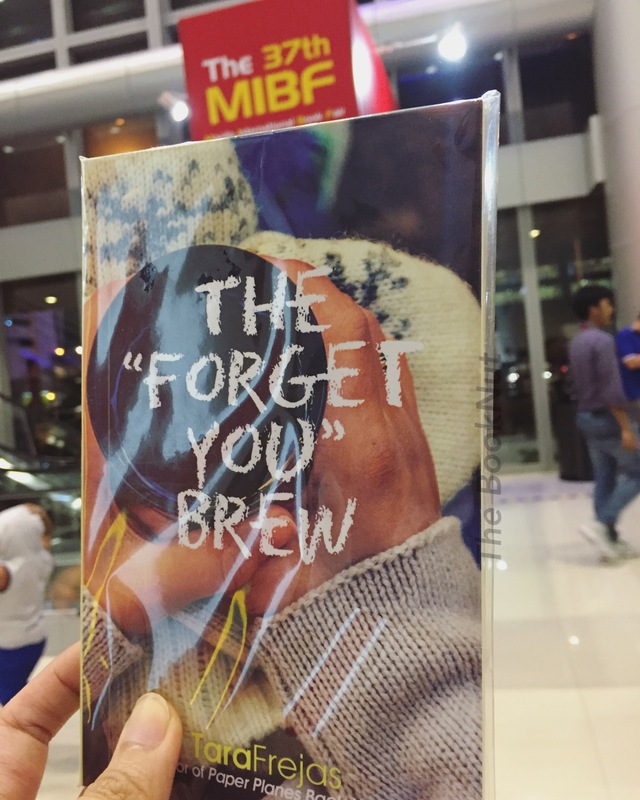 The “Forget You” Brew is available on Amazon for just $ 1.99, just one-click here.